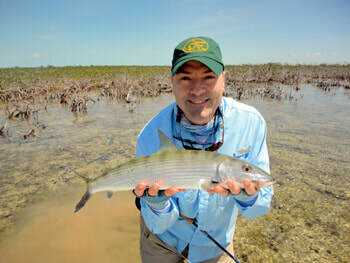 Kurt will be tying bonefish flies while at Tight Lines on March 3rd. Kurt loves fishing for bonefish and has a passion for it. He will be doing 2 classes. The first is a great class on the essential bonefish flies to have in your box and the second a class on some great flies developed by Enrico Puglisi. "Essential Enrico Puglisi Bonefish Flies"